Smart cities initiatives in Asia-Pacific excluding Japan (APEJ) will reach USD35.4 billion by 2019, according to IDC. The forecast marks a 16.8 percent increase over the IT consultancy’s 2018 projection, with spending for programmes in key cities alone (Singapore, Beijing, Shanghai, and Seoul) expected to top USD4 billion this year. China is to account for majority of the smart cities-related technologies investment spending in the region. Most of the outlay from the mainland will be lavished mainly on fixed visual surveillance as the government ramps up its citizen monitoring activities. Singapore is in the midst of creating its own digital twin while South Korea has become one of the most IoT-connected countries in the world. An urban population boom in India is propelling demand for technological investments. “Asia Pacific is an epicenter of innovation, and governments are finally realizing and focusing their energy and investments on smarter technological choices, so that cities across region can manage growth and ever-increasing market opportunities,” commented Swati Chaturvedi, senior market analyst for the IT spending team at IDC Asia/Pacific. Hardware will account for nearly 40 percent or most of the overall smart cities-related spending this year, although services spending will likely supersede it with a predicted CAGR of 17.9 percent for a five-year period ending 2022. Services will constitute the second-largest technology group in terms of spending, followed by software and connectivity. “Prior to 2018, cloud solutions dominated digital transformation imperatives for smart cities. 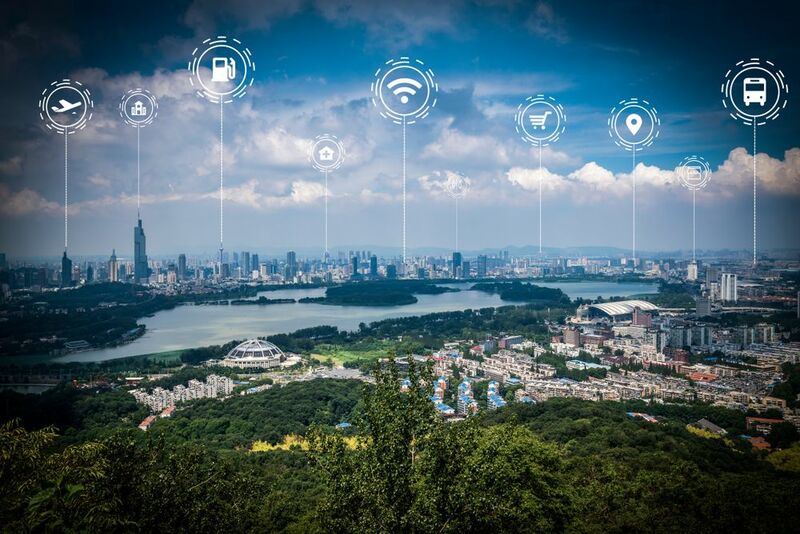 As city governments shift from digitalizing siloed cloud-first endeavors, to integrated and cross-agency hubs, interconnected ecosystems such as transport and public safety become increasingly demanded,” said Gerald Wang, Head of Public Sector Research at IDC Asia/Pacific. Fixed visual surveillance ranks among the top five use cases among leading strategic priorities that are driving smart cities investments, along with advanced public transit, intelligent traffic management, nonrevenue water (NRW) management and smart outdoor lighting. Combined spending of these use cases accounts for 40.7 percent of the overall investments in 2019.